Among the new offerings at Gallery the Woods this season are the collaged shrines of Springfield, Mass. Artist Emily Goodwin. 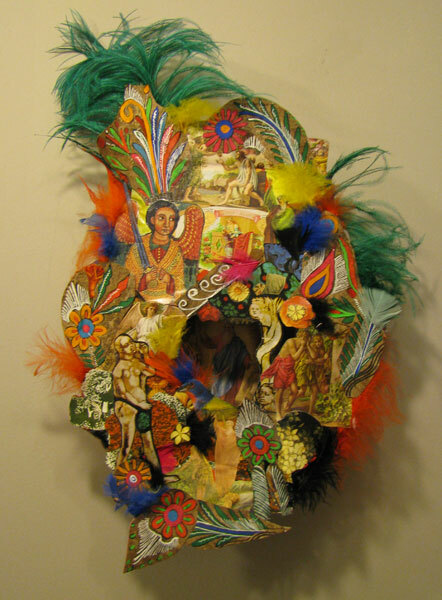 Goodwin began making shrines inspired by a passion for traditional religious iconography found in Latin home shrines throughout the Americas.From the roots of her tradition she has dedicated her work as a shrine maker in the traditional sense. 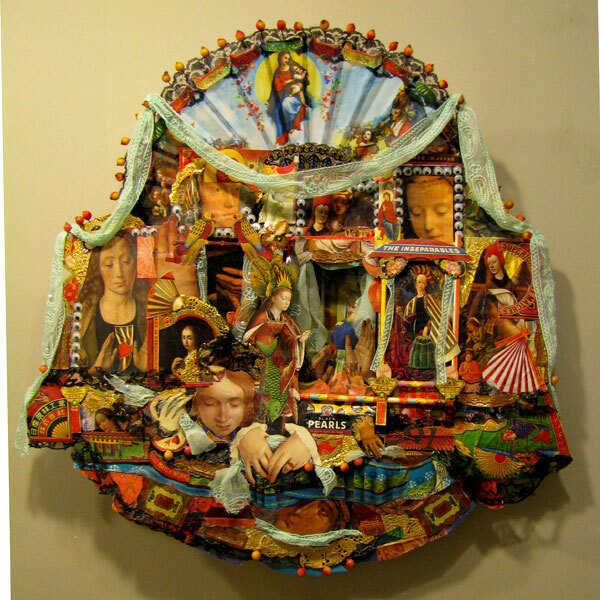 Much of her work is commissioned by folks who would initiate a visual dedication or prayer for a loved one, or for meditation objects for the home altar. 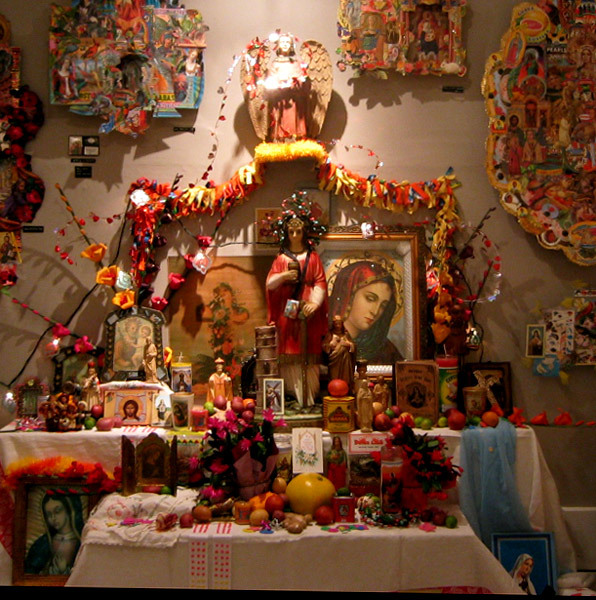 Emily's kitchen table has kept proliferating prayers until her house was filled with shrines to every imaginable saint, and so she arrived at Gallery in the Woods to share them with us. Check out Emily's new shrines at the group show at the gallery this March and April, along with other new work from gallery artists.